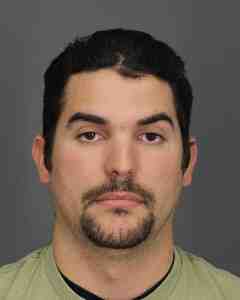 March 14, 2018 -- Westchester County District Attorney Anthony A. Scarpino, Jr. announced Richard Silva (DOB 03/01/1988) pleaded guilty yesterday before County Court Judge Susan Cacace to one count of Possessing an Obscene Sexual Performance by a Child, a class E felony. The Westchester County District Attorney’s Office received information in September 2017 that a computer at the defendant’s residence likely contained obscene sexual performances by children. On Sept. 11, 2017, a judge issued a warrant to search the defendant’s residence. At that location, investigators from the District Attorney’s Office recovered a computer. Forensic analysis on that computer revealed over 100 images and videos of children engaging in sexual acts. The defendant was arrested Sept. 19, 2017. Silva is expected to be sentenced June 19, 2018. This investigation was carried out by investigators from the Westchester County District Attorney’s Office with the assistance of the Yonkers Police Department. It was prosecuted by Assistant District Attorney Laura Forbes of the High Technology Crime Bureau.